Click the button below to add the DISCMANIA GLOW C DDX DISC GOLF DRIVER to your wish list. The DDX was a long time coming but is finally here! It is Discmania's most highly-anticipated release yet, and boy does it fly! 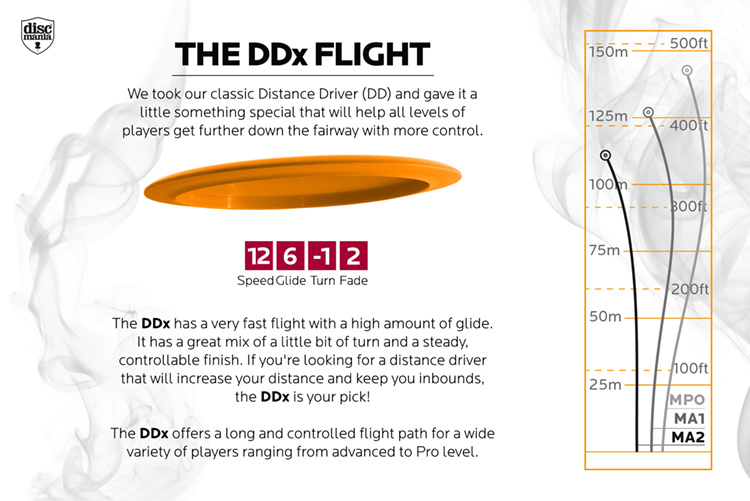 With surplus glide and a flight path straight to just slightly understable, you will be able to squeeze more distance out of this disc than possibly any other Speed 12 driver out there! Colors are assorted.